This tool allow to read/open the dbf- tables on any computer. 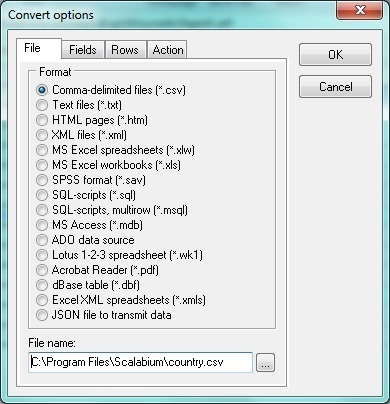 When xBase table loaded, you may save the data to different file formats (CSV, Text, HTML, XML, MS Excel, MS Access, SPSS, SQL, dbf, JSON etc) or copy to clipboard. ShareIt, Germany Buy It! Buy It!